After a slow performance in 2016 the volume of global merchandise trade is expected to jump this year, in line with the recovery in the world economy. 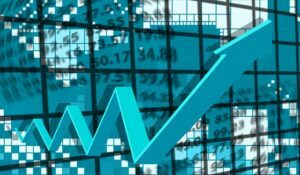 The WTO (World Trade Organization) economists are forecasting that global trade will rise by 2.4% in 2017; however, considering the uncertainties about economic and policy developments, this figure is presented within a range of 1.8% to 3.6%. An early forecast for 2018, puts the expected trade growth between 2.1% and 4%. Nevertheless several challenges remain that might hinder the very positive forecasts. These include the eventual performance of the global economy in the short term, unpredictable government actions on monetary, fiscal and trade policies and possible adverse developments in inflation leading to higher interest rates over the next two years. 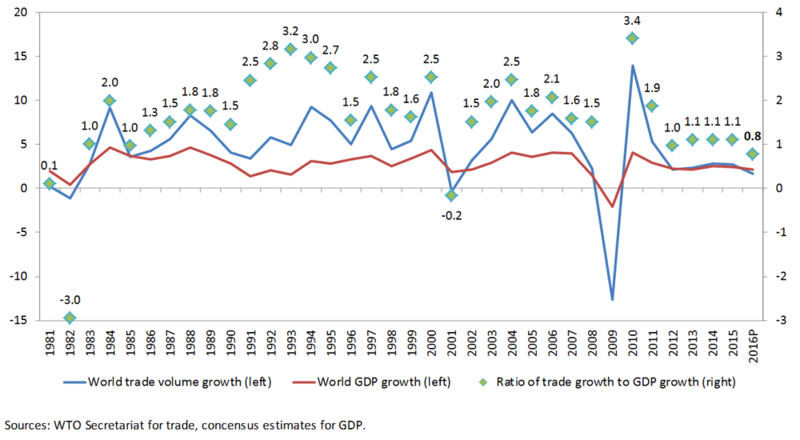 The relatively poor performance of the trade growth in recent years has tracked the weakness in the global economy. However, trade has the potential to spur global economic growth if the movement of goods and supply of services across borders remains unrestricted. This on the other hand, depends on the governments’ policies with regard to protecting domestic jobs at the cost of limiting cross-border trade. The WTO’s promising trade volume forecasts for 2017 and 2018 depend on the global GDP growth in line with forecasts of 2.7% this year and 2.8% in 2018. There is general consensus that these growth rates could be achieved, and it would represent a significant improvement on the 2.3% GDP growth in 2016. In 2016, the global trade increased at a slower pace, only by 1.3%, in part due slower economic activity across the board, and structural changes in the relationship between trade and economic output. This followed a drop in investment spending in the USA and China, and a shift toward domestic consumption. Since the financial crisis, global economic growth has been shaky but in 2017 all regions of the world are expected to have positive growth. This in turn will provide an additional push to world trade. Export orders and container shipping have been strong in the early months of 2017. WTO’s indicators point to stronger trade growth in the first half of 2017, but policy shocks could easily undermine positive recent trends. Unexpected inflation could force central banks to tighten monetary policy faster than they would like, undercutting economic growth and trade in the short-run. Other factors, such as the uncertainty provoked by the United Kingdom’s withdrawal from the EU could potentially have an effect. Similarly a surge in in restrictive trade policies could affect demand and investment flows, and cut economic growth over the medium-to-long term. Depending on which of these threats would materialize during the year the forecasted growth in the global trade volume in 2017 might fall into the lower end of the range. To sum up: the growth in world trade this year and in 2018 is based on expected global real GDP growth of 2.7% in 2017 and 2.8% in 2018. This forecast assumes that developed economies will pursue expansionary monetary and fiscal policies, and that developing economies will emerge from their recent economic slowdown. The forecasts used in this article are taken from a variety of sources including the International Monetary Fund, the Organization for Economic Cooperation and Development, and the United Nations.